With the release of Avengers: Infinity War right around the corner, excitement is palpable. But with over ten years of film coalescing into a giant summer blockbuster, it can be hard to remember every important detail or even where to begin if you’re totally new to the Marvel Cinematic Universe, commonly referred to as the MCU. Thankfully Marvel Studios 101 (DK Publishing, 2018) has hit bookshelves just in time for the April 27th release of Avengers: Infinity War. It’s an essential tome that makes catching up easy if you’re a new fan and a fun primer for those Marvel fans who might have missed a movie or two. Visually stunning, the book does a great job of breaking down each movie according to the plot, specific characters involved, and even how each film ties into the universe as a whole. Always wanted to know the other eight planets revolving around Asgard? It’s got you covered. 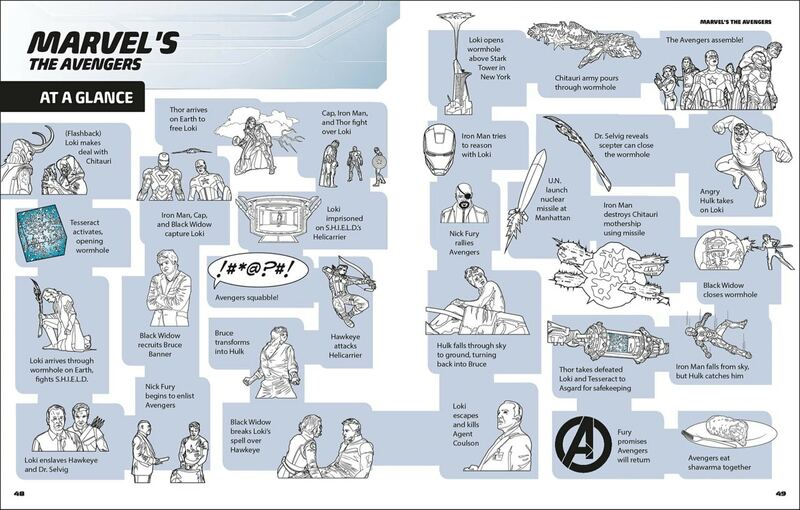 Wondering how Ant-Man fits into the picture? Don’t worry, there’s an entire section dedicated to him and the atom-shrinking tech. Here are four reasons why you need to add Marvel Studios 101 to your comic-loving collectors shelf. Whether you’re looking for a great starting point on your Marvel journey or a MCU veteran keen for movie-specific details, this must-have book has got you covered. As a newcomer to the series, you might know Captain America or The Hulk, but what about the Dark Elf Malekith? Or the morally conflicted scientist, Dr. Arnim Zola? Marvel Studios 101 dedicates time to exploring the smaller characters in the MCU, helping flesh out the world-building experience each film builds upon. We get to know more about War Machine and his origins as Tony’s military friend James Rhodes or Scarlet Witch and her tragic backstory linked to Stark industries. Each of these smaller characters are given their own visual identity, connecting their own storylines to that of the larger Avengers driven narrative. Spending time with these secondary characters really makes the MCU feel bigger than a few major characters and Marvel Studios 101 does a great job of making everyone feel important. The book does a great job of connecting images to the details it’s trying to convey. For example, there’s a very handy visual timeline that lets you know the order in which you should watch the MCU films to get the most out of your viewing experience. Looking at the book from a design perspective, each of the two pages dedicated to specific movies, are broken into four quarters, making all the information digestible and easy to read. I especially love the introduction to the book, quickly explaining the origins to the MCU and it’s connection to the original comic books. Another great aspect of Marvel Studios 101 is its accessibility. It often presents scenarios in the form of a question which is a nice touch if you were wondering the same thing. 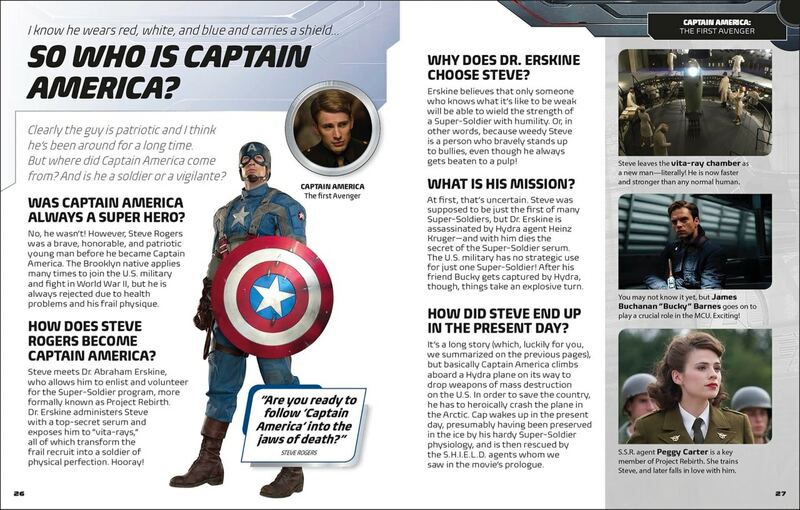 For an example, if when watching Avengers, you forgot why the team was fighting in New York City, the two pages dedicated to the film starts with that exact question. I see this as a book to have open on your lap when watching an MCU film that you might have missed, as I did with Ant-Man. Referring to the book in this way I thought was great for reestablishing character motivations if you find yourself getting lost. Speaking of character motivations, another great addition is The “Good Guys/Bad Guys Sidebar.” This is done for every film and is nice touch to establish your understanding of the characters, and helps you know who to root for. While not entirely about Avengers: Infinity War, there is a palpable sense of momentum pushing towards the film as you work your way through the book. For newcomers, it’s a great chance to understand why Avengers: Infinity War is important without having to watch dozens of hours of film (although you still should). With Thanos acting as the big bad presence looming over the MCU, this book feels timely and relevant, mentioning his involvement in all the other films leading up to Infinity War. It provides info on the latest MCU films, such as Thor: Ragnarok and Black Panther, but doesn’t spoil any cool twists and turns. 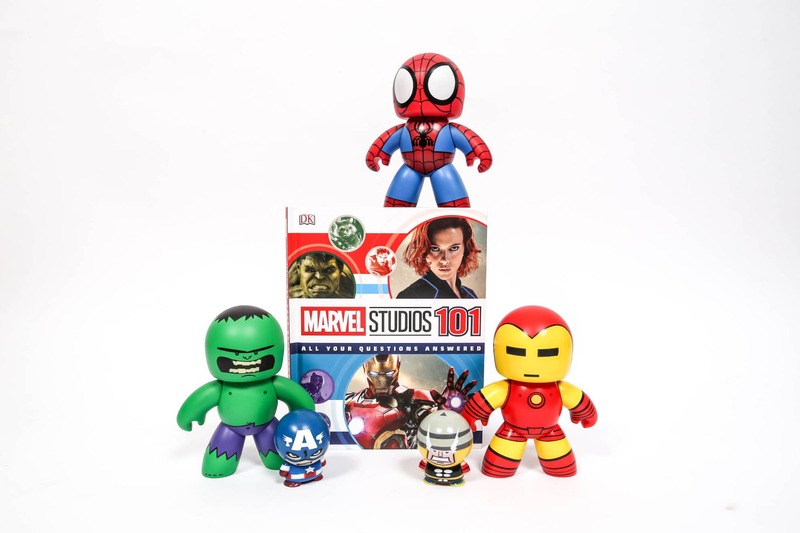 With Marvel Studios 101 in hand, you will have everything you need to make Avengers: Infinity War an experience to remember and as a bonus, you will look like a hero yourself as you confidently carry on conversations about the MCU with anyone you meet!